The Instances and Images guide provides procedures for the management of instances, images of a Red Hat OpenStack Platform environment. This guide discusses procedures for creating and managing images, and instances. It also mentions the procedure for configuring the storage for instances for Red Hat OpenStack Platform. You can manage the cloud using either the OpenStack dashboard or the command-line clients. Most procedures can be carried out using either method; some of the more advanced procedures can only be executed on the command line. This guide provides procedures for the dashboard where possible. For the complete suite of documentation for Red Hat OpenStack Platform, see Red Hat OpenStack Platform Documentation Suite. This chapter discusses the steps you can follow to manage images and storage in Red Hat OpenStack Platform. RAW - Unstructured disk image format. QCOW2 - Disk format supported by QEMU emulator. ISO - Sector-by-sector copy of the data on a disk, stored in a binary file. AKI - Indicates an Amazon Kernel Image. AMI - Indicates an Amazon Machine Image. ARI - Indicates an Amazon RAMDisk Image. VDI - Disk format supported by VirtualBox virtual machine monitor and the QEMU emulator. VHD - Common disk format used by virtual machine monitors from VMware, VirtualBox, and others. VMDK - Disk format supported by many common virtual machine monitors. While ISO is not normally considered a virtual machine image format, since ISOs contain bootable filesystems with an installed operating system, you can treat them the same as you treat other virtual machine image files. 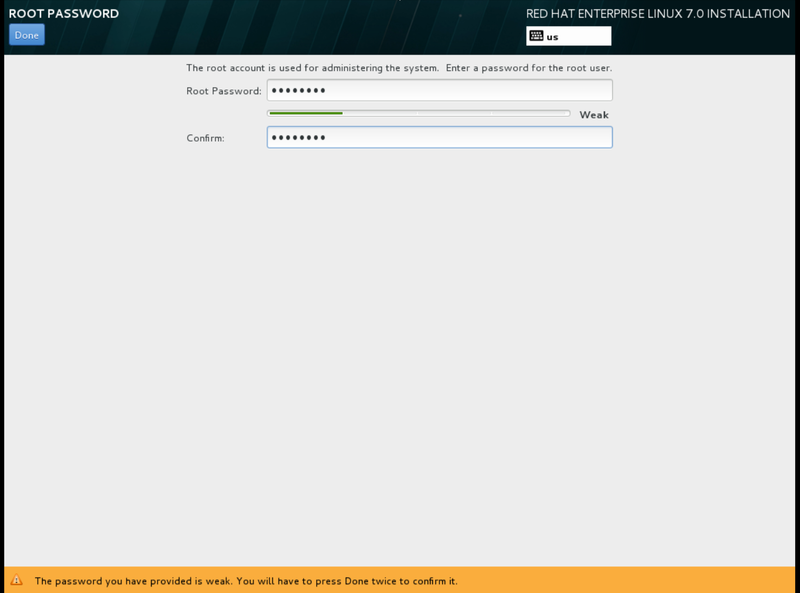 You will be prompted to enter your Red Hat account credentials if you are not logged in to the Customer Portal. The following notable OpenStack Image service (glance) features are available. Image signing and verification protects image integrity and authenticity by enabling deployers to sign images and save the signatures and public key certificates as image properties. Sign an image using your private key and upload the image, the signature, and a reference to your public key certificate (the verification metadata). The Image service then verifies that the signature is valid. Create an image in the Compute service, have the Compute service sign the image, and upload the image and its verification metadata. The Image service again verifies that the signature is valid. Request a signed image in the Compute service. The Image service provides the image and its verification metadata, allowing the Compute service to validate the image before booting it. For information on image signing and verification, refer to the Validate Glance Images chapter of the Manage Secrets with OpenStack Key Manager Guide. Image conversion converts images by calling the task API while importing an image. As part of the import workflow, a plugin provides the image conversion. This plugin can be activated or deactivated based on the deployer configuration. Therefore, the deployer needs to specify the preferred format of images for the deployment. Internally, the Image service receives the bits of the image in a particular format. These bits are stored in a temporary location. The plugin is then triggered to convert the image to the target format, and moved to a final destination. When the task is finished, the temporary location is deleted. As a result, the format uploaded initially is not retained by the Image service. By introspecting this vmdk, you can easily know that the disk_type is streamOptimized, and the adapter_type is buslogic. These metadata parameters are useful for the consumer of the image. In Compute, the workflow to instantiate a streamOptimized disk is different from the one to instantiate a flat disk. This new feature allows metadata extraction. You can achieve image introspection by calling the task API while importing the image. An administrator can override metadata settings. glance-direct for importing from a local file system. The OpenStack Image service (glance) provides discovery, registration, and delivery services for disk and server images. It provides the ability to copy or snapshot a server image, and immediately store it away. Stored images can be used as a template to get new servers up and running quickly and more consistently than installing a server operating system and individually configuring services. This section provides you with the steps to manually create OpenStack-compatible images in the QCOW2 format using Red Hat Enterprise Linux 7 ISO files, Red Hat Enterprise Linux 6 ISO files, or Windows ISO files. These images are configured with cloud-init and must take advantage of ec2-compatible metadata services for provisioning SSH keys in order to function properly. Ready Windows KVM guest QCOW2 images are not available. The root account in the image is disabled, but sudo access is granted to a special user named cloud-user. There is no root password set for this image. The root password is locked in /etc/shadow by placing !! in the second field. For an OpenStack instance, it is recommended that you generate an ssh keypair from the OpenStack dashboard or command line and use that key combination to perform an SSH public authentication to the instance as root. When the instance is launched, this public key will be injected to it. You can then authenticate using the private key downloaded while creating the keypair. If you do not want to use keypairs, you can use the admin password that has been set using the Inject an admin Password Into an Instance procedure. 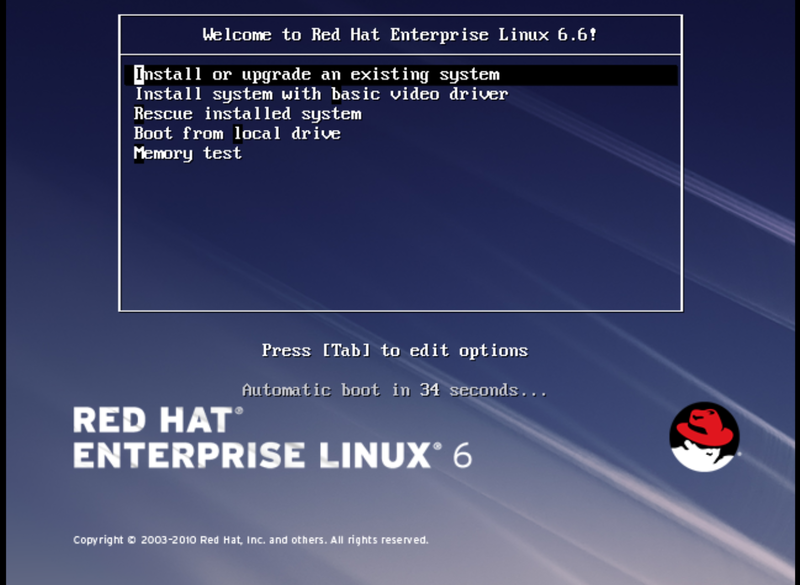 If you want to create custom Red Hat Enterprise Linux or Windows images, see Create a Red Hat Enterprise Linux 7 Image, Create a Red Hat Enterprise Linux 6 Image, or Create a Windows Image. Linux host machine to create an image. This can be any machine on which you can install and run the Linux packages. libvirt, virt-manager (run command yum groupinstall -y @virtualization). This installs all packages necessary for creating a guest operating system. Libguestfs tools (run command yum install -y libguestfs-tools-c). This installs a set of tools for accessing and modifying virtual machine images. A Red Hat Enterprise Linux 7 or 6 ISO file (see RHEL 7.2 Binary DVD or RHEL 6.8 Binary DVD) or a Windows ISO file. If you do not have a Windows ISO file, visit the Microsoft TechNet Evaluation Center and download an evaluation image. Text editor, if you want to change the kickstart files (RHEL only). In the following procedures, all commands with the [root@host]# prompt should be run on your host machine. This section provides you with the steps to manually create an OpenStack-compatible image in the QCOW2 format using a Red Hat Enterprise Linux 7 ISO file. This launches an instance and starts the installation process. 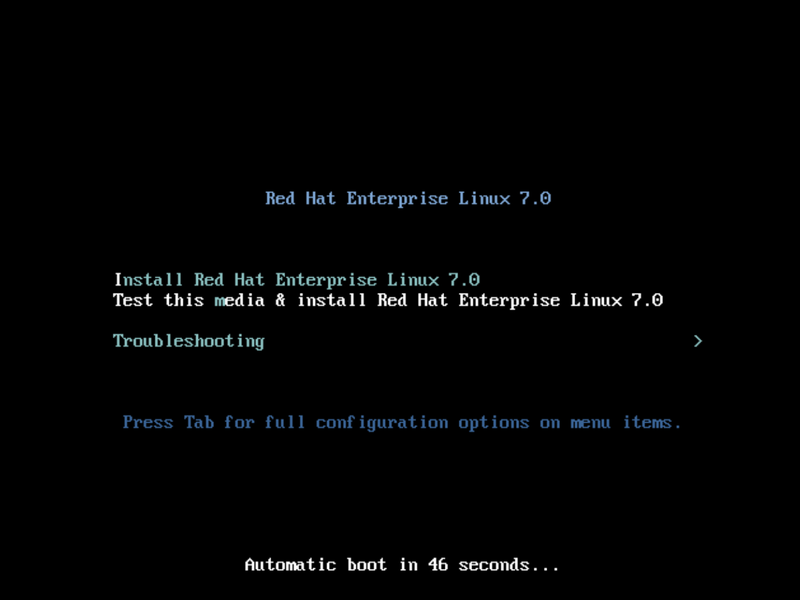 At the initial Installer boot menu, choose the Install Red Hat Enterprise Linux 7.X option. Choose the appropriate Language and Keyboard options. When prompted about which type of devices your installation uses, choose Auto-detected installation media. When prompted about which type of installation destination, choose Local Standard Disks. 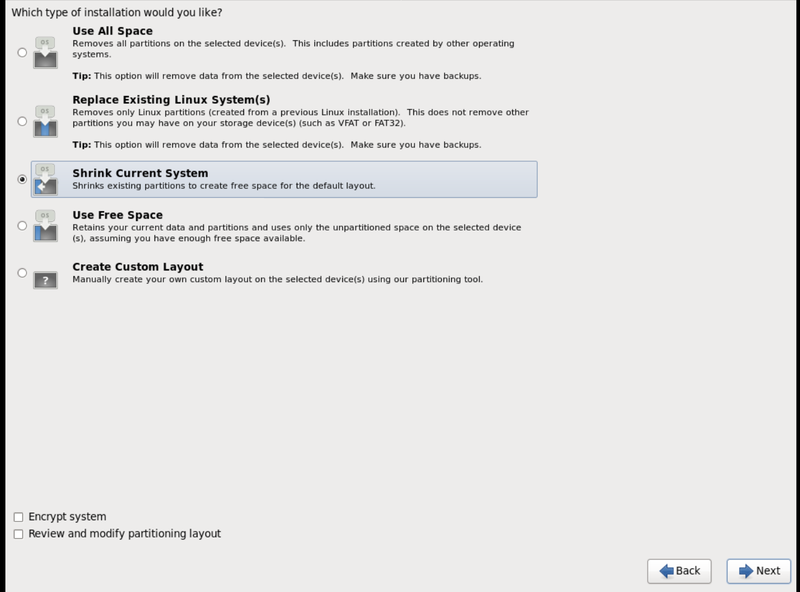 For other storage options, choose Automatically configure partitioning. For software selection, choose Minimal Install. For network and host name, choose eth0 for network and choose a hostname for your device. The default host name is localhost.localdomain. Choose the root password. The installation process completes and the Complete! screen appears. After the installation is complete, reboot the instance and log in as the root user. Register the machine with the Content Delivery Network. The resolv-conf option automatically configures the resolv.conf when an instance boots for the first time. This file contains information related to the instance such as nameservers, domain and other options. This creates a new rhel7-cloud.qcow2 file in the location from where the command is run. 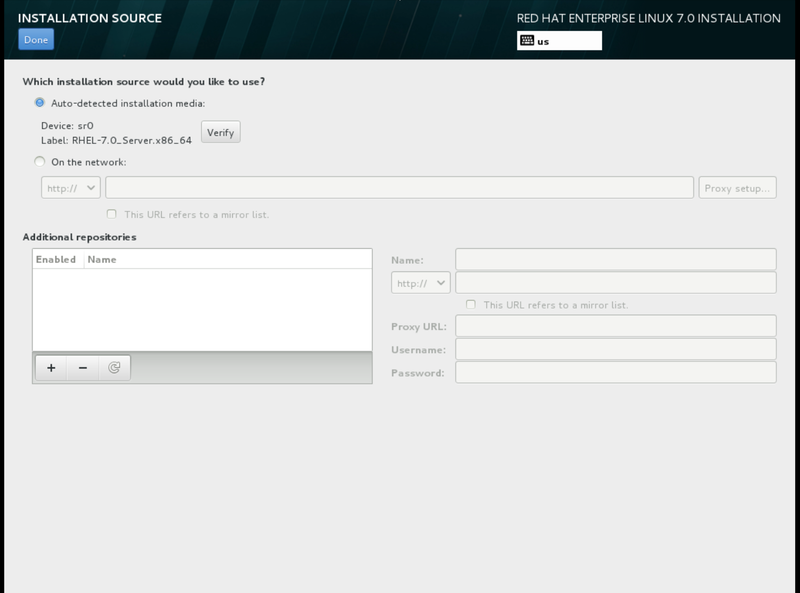 The rhel7-cloud.qcow2 image file is ready to be uploaded to the Image service. For more information on uploading this image to your OpenStack deployment using the dashboard, see Upload an Image. This section provides you with the steps to manually create an OpenStack-compatible image in the QCOW2 format using a Red Hat Enterprise Linux 6 ISO file. 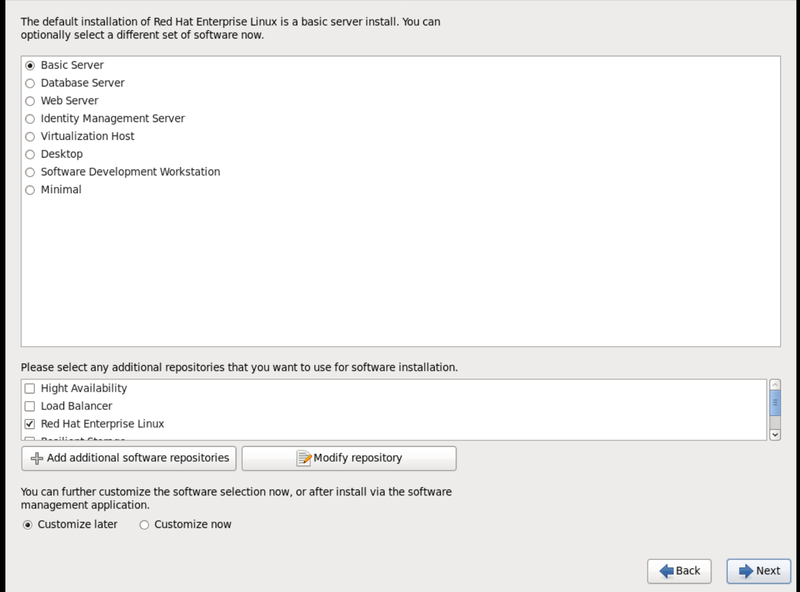 At the initial Installer boot menu, choose the Install or upgrade an existing system option. Step through the installation prompts. Accept the defaults. The installer checks for the disc and lets you decide whether you want to test your installation media before installation. Select OK to run the test or Skip to proceed without testing. When prompted about which type of devices your installation uses, choose Basic Storage Devices. Choose a hostname for your device. The default host name is localhost.localdomain. Set timezone and root password. Based on the space on the disk, choose the type of installation. Choose the Basic Server install, which installs an SSH server. The installation process completes and Congratulations, your Red Hat Enterprise Linux installation is complete screen appears. Reboot the instance and log in as the root user. The resolv-conf option automatically configures the resolv.conf configuration file when an instance boots for the first time. This file contains information related to the instance such as nameservers, domain, and other options. This prevents /etc/udev/rules.d/70-persistent-net.rules file from being created. If /etc/udev/rules.d/70-persistent-net.rules is created, networking may not function properly when booting from snapshots (the network interface is created as "eth1" rather than "eth0" and IP address is not assigned). This creates a new rhel6-cloud.qcow2 file in the location from where the command is run. You will need to manually resize the partitions of instances based on the image in accordance with the disk space in the flavor that is applied to the instance. This section provides you with the steps to manually create an OpenStack-compatible image in the QCOW2 format using a Windows ISO file. name — the name that the Windows guest should have. size — disk size in GB. path — the path to the Windows installation ISO file. RAM — the requested amount of RAM in MB. The --os-type=windows parameter ensures that the clock is set up correctly for the Windows guest, and enables its Hyper-V enlightenment features. Replace filename with the name of the file which should store the guest image (and optionally its path); for example path=win8.qcow2,size=8 creates an 8 GB file named win8.qcow2 in the current working directory. Installation of Windows systems is beyond the scope of this document. For instructions on how to install Windows, see the relevant Microsoft documentation. To allow the newly installed Windows system to use the virtualized hardware, you may need to install virtio drivers in it. To so do, first install the virtio-win package on the host system. This package contains the virtio ISO image, which is to be attached as a CD-ROM drive to the Windows guest. See Chapter 8. KVM Para-virtualized (virtio) Drivers in the Virtualization Deployment and Administration Guide for detailed instructions on how to install the virtio-win package, add the virtio ISO image to the guest, and install the virtio drivers. To complete the setup, download and execute Cloudbase-Init on the Windows system. At the end of the installation of Cloudbase-Init, select the Run Sysprep and Shutdown check boxes. The Sysprep tool makes the guest unique by generating an OS ID, which is used by certain Microsoft services. Red Hat does not provide technical support for Cloudbase-Init. If you encounter an issue, contact Cloudbase Solutions. When the Windows system shuts down, the name.qcow2 image file is ready to be uploaded to the Image service. For more information on uploading this image to your OpenStack deployment using the dashboard or the command line, see Upload an Image. Image Service (glance) can process libosinfo data for images, making it easier to configure the optimal virtual hardware for an instance. This can be done by adding the libosinfo-formatted operating system name to the glance image. As a result, Compute will supply virtual hardware optimized for rhel7.2 whenever an instance is built using the 654dbfd5-5c01-411f-8599-a27bd344d79b image. In the dashboard, select Project > Compute > Images. Fill out the values, and click Create Image when finished. Name for the image. The name must be unique within the project. Brief description to identify the image. Image source: Image Location or Image File. Based on your selection, the next field is displayed. Select Image Location option to specify the image location URL. Select Image File option to upload an image from the local disk. Image format (for example, qcow2). Image architecture. For example, use i686 for a 32-bit architecture or x86_64 for a 64-bit architecture. Minimum disk size required to boot the image. If this field is not specified, the default value is 0 (no minimum). Minimum memory size required to boot the image. If this field is not specified, the default value is 0 (no minimum). If selected, makes the image public to all users with access to the project. If selected, ensures only users with specific permissions can delete this image. When the image has been successfully uploaded, its status is changed to active, which indicates that the image is available for use. Note that the Image service can handle even large images that take a long time to upload — longer than the lifetime of the Identity service token which was used when the upload was initiated. This is due to the fact that the Image service first creates a trust with the Identity service so that a new token can be obtained and used when the upload is complete and the status of the image is to be updated. You can also use the glance image-create command with the property option to upload an image. More values are available on the command line. For a complete listing, see Image Configuration Parameters. Click Edit Image from the dropdown list. The Edit Image option is available only when you log in as an admin user. When you log in as a demo user, you have the option to Launch an instance or Create Volume. Update the fields and click Update Image when finished. You can update the following values - name, description, kernel ID, ramdisk ID, architecture, format, minimum disk, minimum RAM, public, protected. Click the drop-down menu and select Update Metadata option. Specify metadata by adding items from the left column to the right one. In the left column, there are metadata definitions from the Image Service Metadata Catalog. Select Other to add metadata with the key of your choice and click Save when finished. You can also use the glance image-update command with the property option to update an image. More values are available on the command line; for a complete listing, see Image Configuration Parameters. You can import images into the Image service (glance) using web-download to import an image from a URI and glance-direct to import an image from a local file system. Both options are enabled by default. Import methods are configured by the cloud administrator. Run the glance import-info command to list available import options. You can use the web-download method to copy an image from a remote URI. Create an image and specify the URI of the image to import. You can monitor the image’s availability using the glance image-show <image-ID> command where the ID is the one provided during image creation. The Image service web-download method uses a two-stage process to perform the import. First, it creates an image record. Second, it retrieves the image the specified URI. This method provides a more secure way to import images than the deprecated copy-from method used in Image API v1. The URI is subject to optional blacklist and whitelist filtering as described in the Advanced Overcloud Customization Guide. The Image Property Injection plugin may inject metadata properties to the image as described in the Advanced Overcloud Customization Guide. These injected properties determine which compute nodes the image instances are launched on. The glance-direct method creates an image record, which generates an image ID. Once the image is uploaded to the service from a local volume, it is stored in a staging area and is made active after it passes any configured checks. The glance-direct method requires a shared staging area when used in a highly available (HA) configuration. Image uploads using the glance-direct method fail in an HA environment if a common staging area is not present. In an HA active-active environment, API calls are distributed to the glance controllers. The download API call could be sent to a different controller than the API call to upload the image. For more information about configuring the staging area, refer to the Storage Configuration section in the Advanced Overcloud Customization Guide. You can use the glance image-create-via-import command to perform all three of these calls in one command. In the example below, uppercase words should be replaced with the appropriate options. Once the image moves from the staging area to the back end location, the image is listed. However, it may take some time for the image to become active. Select the image you want to delete and click Delete Images. You can hide public images from normal listings presented to users. For instance, you can hide obsolete CentOS 7 images and show only the latest version to simplify the user experience. Users can discover and use hidden images. To create a hidden image, add the --hidden argument to the glance image-create command. This chapter describes the architecture for the back-end storage of images in OpenStack Compute (nova), and provides basic configuration options. In Red Hat OpenStack Platform, the OpenStack Compute service uses the KVM hypervisor to execute compute workloads. The libvirt driver handles all interactions with KVM, and enables the creation of virtual machines. Base image, which is a cached and formatted copy of the Image service image. Instance disk, which is created using the libvirt base and is the back end for the virtual machine instance. Instance disk data can be stored either in Compute’s ephemeral storage (using the libvirt base) or in persistent storage (for example, using Block Storage). Cache the Image service’s backing image as the libvirt base. Convert the base image to the raw format (if configured). Resize the base image to match the VM’s flavor specifications. Use the base image to create the libvirt instance disk. In the diagram above, the #1 instance disk uses ephemeral storage; the #2 disk uses a block-storage volume. Ephemeral storage is an empty, unformatted, additional disk available to an instance. This storage value is defined by the instance flavor. The value provided by the user must be less than or equal to the ephemeral value defined for the flavor. The default value is 0, meaning no ephemeral storage is created. The ephemeral disk appears in the same way as a plugged-in hard drive or thumb drive. It is available as a block device which you can check using the lsblk command. You can format it, mount it, and use it however you normally would a block device. There is no way to preserve or reference that disk beyond the instance it is attached to. Block storage volume is persistant storage available to an instance regardless of the state of the running instance. Compute configuration for handling the libvirt base and instance disks can determine both performance and security aspects of your environment; parameters are configured in the /etc/nova/nova.conf file. Disallows backing files (which might be a security issue). Removes existing compression (to avoid CPU bottlenecks). Converting the base to raw uses more space for any image that could have been used directly by the hypervisor (for example, a qcow2 image). If you have a system with slower I/O or less available space, you might want to specify 'false', trading the higher CPU requirements of compression for that of minimized input bandwidth. Raw base images are always used with libvirt_images_type=lvm. true - The cqow2 format is used. With CoW, depending on the backing store and host caching, there may be better concurrency achieved by having each VM operate on its own copy. none - No storage is provisioned at instance start. space - Storage is fully allocated at instance start (using fallocate), which can help with both space guarantees and I/O performance. Even when not using CoW instance disks, the copy each VM gets is sparse and so the VM may fail unexpectedly at run time with ENOSPC. By running fallocate(1) on the instance disk images, Compute immediately and efficiently allocates the space for them in the file system (if supported). Run time performance should also be improved because the file system does not have to dynamically allocate blocks at run time (reducing CPU overhead and more importantly file fragmentation). Whether to enable direct resizing of the base image by accessing the image over a block device (boolean). This is only necessary for images with older versions of cloud-init (that cannot resize themselves). Because this parameter enables the direct mounting of images which might otherwise be disabled for security reasons, it is not enabled by default. The default format that is used for a new ephemeral volume. Value can be: ext2, ext3, or ext4. The ext4 format provides much faster initialization times than ext3 for new, large disks. You can also override per instance using the guest_format configuration option. Number of seconds to wait between runs of the image cache manager, which impacts base caching on libvirt compute nodes. This period is used in the auto removal of unused cached images (see remove_unused_base_images and remove_unused_original_minimum_age_seconds). Whether to enable the automatic removal of unused base images (checked every image_cache_manager_interval seconds). Images are defined as unused if they have not been accessed in remove_unused_original_minimum_age_seconds seconds. How old an unused base image must be before being removed from the libvirt cache (see remove_unused_base_images). Image type to use for libvirt instance disks (deprecates use_cow_images). Value can be: raw, qcow2, lvm, rbd, or default. If default is specified, the value used for the use_cow_images parameter is used. OpenStack Compute is the central component that provides virtual machines on demand. Compute interacts with the Identity service for authentication, Image service for images (used to launch instances), and the dashboard service for the user and administrative interface. Red Hat OpenStack Platform allows you to easily manage virtual machine instances in the cloud. The Compute service creates, schedules, and manages instances, and exposes this functionality to other OpenStack components. This chapter discusses these procedures along with procedures to add components like key pairs, security groups, host aggregates and flavors. The term instance is used by OpenStack to mean a virtual machine instance. Before you can create an instance, you need to ensure certain other OpenStack components (for example, a network, key pair and an image or a volume as the boot source) are available for the instance. This section discusses the procedures to add these components, create and manage an instance. Managing an instance refers to updating, and logging in to an instance, viewing how the instances are being used, resizing or deleting them. Use the following sections to create a network, key pair and upload an image or volume source. These components are used in the creation of an instance and are not available by default. You will also need to create a new security group to allow SSH access to the user. In the dashboard, select Project. Select Network > Networks, and ensure there is a private network to which you can attach the new instance (to create a network, see Create a Network section in the Networking Guide). Select Compute > Access & Security > Key Pairs, and ensure there is a key pair (to create a key pair, see Section 3.2.1.1, “Create a Key Pair”). To view boot-source images, select the Images tab (to create an image, see Section 1.2.1, “Create an Image”). To view boot-source volumes, select the Volumes tab (to create a volume, see Create a Volume in the Storage Guide). Select Compute > Access & Security > Security Groups, and ensure you have created a security group rule (to create a security group, see Project Security Management in the Users and Identity Management Guide). Launch one or more instances from the dashboard. By default, the Launch Instance form is used to launch instances. However, you can also enable a Launch Instance wizard that simplifies the steps required. For more information, see Appendix B, Enabling the Launch Instance Wizard. In the dashboard, select Project > Compute > Instances. Fill out the fields (those marked with '* ' are required), and click Launch. One or more instances are created, and launched based on the options provided. The following table outlines the options available when launching a new instance using the Launch Instance form. The same options are also available in the Launch instance wizard. Select the user from the dropdown list. Zones are logical groupings of cloud resources in which your instance can be placed. If you are unsure, use the default zone (for more information, see Section 3.4, “Manage Host Aggregates”). A name to identify your instance. The flavor determines what resources the instance is given (for example, memory). For default flavor allocations and information on creating new flavors, see Section 3.3, “Manage Flavors”. The number of instances to create with these parameters. "1" is preselected. Image sources must be compatible with OpenStack (see Section 1.2, “Manage Images”). If a volume or volume source is selected, the source must be formatted using an image (see Basic Volume Usage and Configuration in the Storage Guide). The specified key pair is injected into the instance and is used to remotely access the instance using SSH (if neither a direct login information or a static key pair is provided). Usually one key pair per project is created. Security groups contain firewall rules which filter the type and direction of the instance’s network traffic (for more information on configuring groups, see Project Security Management in the Users and Identity Management Guide). You must select at least one network. Instances are typically assigned to a private network, and then later given a floating IP address to enable external access. You can provide either a set of commands or a script file, which will run after the instance is booted (for example, to set the instance host name or a user password). If 'Direct Input' is selected, write your commands in the Script Data field; otherwise, specify your script file. Any script that starts with '#cloud-config' is interpreted as using the cloud-config syntax (for information on the syntax, see http://cloudinit.readthedocs.org/en/latest/topics/examples.html). By default, the instance is built as a single partition and dynamically resized as needed. However, you can choose to manually configure the partitions yourself. If selected, OpenStack writes metadata to a read-only configuration drive that is attached to the instance when it boots (instead of to Compute’s metadata service). After the instance has booted, you can mount this drive to view its contents (enables you to provide files to the instance). Snapshots preserve the disk state of a running instance. You can create a snapshot to migrate the instance, as well as to preserve backup copies. You must associate an instance with a floating IP (external) address before it can communicate with external networks, or be reached by external users. Because there are a limited number of external addresses in your external subnets, it is recommended that you disassociate any unused addresses. Update the instance’s name and associated security groups. Add and remove security groups to or from this instance using the list of available security groups (for more information on configuring groups, see Project Security Management in the Users and Identity Management Guide). View the instance’s console in the browser (allows easy access to the instance). View the most recent section of the instance’s console log. Once opened, you can view the full log by clicking View Full Log. Immediately pause the instance (you are not asked for confirmation); the state of the instance is stored in memory (RAM). Immediately suspend the instance (you are not asked for confirmation); like hibernation, the state of the instance is kept on disk. Bring up the Resize Instance window (see Section 3.1.4, “Resize an Instance”). Gracefully stop and restart the instance. A soft reboot attempts to gracefully shut down all processes before restarting the instance. Stop and restart the instance. A hard reboot effectively just shuts down the instance’s power and then turns it back on. Use new image and disk-partition options to rebuild the image (shut down, re-image, and re-boot the instance). If encountering operating system issues, this option is easier to try than terminating the instance and starting over. Permanently destroy the instance (you are asked for confirmation). To resize an instance (memory or CPU count), you must select a new flavor for the instance that has the right capacity. If you are increasing the size, remember to first ensure that the host has enough space. Ensure communication between hosts by setting up each host with SSH key authentication so that Compute can use SSH to move disks to other hosts (for example, compute nodes can share the same SSH key). The allow_resize_to_same_host parameter does not resize the instance on the same host. Even if the parameter equals true on all compute nodes, the scheduler does not force the instance to resize on the same host. This is the expected behavior. Click the instance’s Actions arrow, and select Resize Instance. Select a new flavor in the New Flavor field. In the Disk Partition field, select Manual. This section discusses the different methods you can use to access an instance console using the dashboard or the command-line interface. You can also directly connect to an instance’s serial port allowing you to debug even if the network connection fails. The console allows you a way to directly access your instance within the dashboard. In the dashboard, select Compute > Instances. Click the instance’s More button and select Console. Log in using the image’s user name and password (for example, a CirrOS image uses cirros/cubswin:)). You can directly access an instance’s VNC console using a URL returned by nova get-vnc-console command. This tool is provided only for customer convenience, and is not officially supported by Red Hat. However, depending on your installation, the administrator may need to first set up the nova-serialproxy service. The proxy service is a websocket proxy that allows connections to OpenStack Compute serial ports. Specify the string used to generate URLS provided by the nova get-serial-console command. Where PUBLIC_IP is the public IP address of the host running the nova-serialproxy service. Specify the IP address on which the instance serial console should listen (string). Specify the address to which proxy clients should connect (string). Restart any running instances, to ensure that they are now listening on the right sockets. To view instance usage per project, select Project > Compute > Overview. A usage summary is immediately displayed for all project instances. You can also view statistics for a specific period of time by specifying the date range and clicking Submit. If logged in as an administrator, you can also view information for all projects. Click Admin > System and select one of the tabs. For example, the Resource Usage tab offers a way to view reports for a distinct time period. You might also click Hypervisors to view your current vCPU, memory, or disk statistics. The vCPU Usage value (x of y) reflects the number of total vCPUs of all virtual machines (x) and the total number of hypervisor cores (y). In the dashboard, select Project > Compute > Instances, and select your instance. Deleting an instance does not delete its attached volumes; you must do this separately (see Delete a Volume in the Storage Guide). Click the check boxes in the first column for the instances that you want to start. If you want to select all of the instances, click the check box in the first row in the table. Click More Actions above the table and select Start Instances. Similarly, you can shut off or soft reboot multiple instances by selecting the respective actions. You can manage access to an instance by assigning it the correct security group (set of firewall rules) and key pair (enables SSH user access). Further, you can assign a floating IP address to an instance to enable external network access. The sections below outline how to create and manage key pairs, security groups, floating IP addresses and logging in to an instance using SSH. There is also a procedure for injecting an admin password in to an instance. For information on managing security groups, see Project Security Management in the Users and Identity Management Guide. Key pairs provide SSH access to the instances. Each time a key pair is generated, its certificate is downloaded to the local machine and can be distributed to users. Typically, one key pair is created for each project (and used for multiple instances). You can also import an existing key pair into OpenStack. In the dashboard, select Project > Compute > Access & Security. On the Key Pairs tab, click Create Key Pair. Specify a name in the Key Pair Name field, and click Create Key Pair. On the Key Pairs tab, click Import Key Pair. Specify a name in the Key Pair Name field, and copy and paste the contents of your public key into the Public Key field. On the Key Pairs tab, click the key’s Delete Key Pair button. Security groups are sets of IP filter rules that can be assigned to project instances, and which define networking access to the instance. Security group are project specific; project members can edit the default rules for their security group and add new rule sets. In the dashboard, select the Project tab, and click Compute > Access & Security. On the Security Groups tab, click + Create Security Group. Provide a name and description for the group, and click Create Security Group. For more information on managing project security, see Project Security Management in the Users and Identity Management Guide. By default, an instance is given an internal IP address when it is first created. However, you can enable access through the public network by creating and assigning a floating IP address (external address). You can change an instance’s associated IP address regardless of the instance’s state. Projects have a limited range of floating IP address that can be used (by default, the limit is 50), so you should release these addresses for reuse when they are no longer needed. Floating IP addresses can only be allocated from an existing floating IP pool, see Create Floating IP Pools in the Networking Guide. On the Floating IPs tab, click Allocate IP to Project. Select a network from which to allocate the IP address in the Pool field. On the Floating IPs tab, click the address' Associate button. Select the address to be assigned in the IP address field. If no addresses are available, you can click the + button to create a new address. Select the instance to be associated in the Port to be Associated field. An instance can only be associated with one floating IP address. On the Floating IPs tab, click the address' menu arrow (next to the Associate/Disassociate button). Ensure that the instance’s security group has an SSH rule (see Project Security Management in the Users and Identity Management Guide). Ensure the instance has a floating IP address (external address) assigned to it (see Section 3.2.3, “Create, Assign, and Release Floating IP Addresses”). Obtain the instance’s key-pair certificate. The certificate is downloaded when the key pair is created; if you did not create the key pair yourself, ask your administrator (see Section 3.2.1, “Manage Key Pairs”). Change the permissions of the generated key-pair certificate. You can now SSH into the file with the user supplied by the image. You can inject an admin (root) password into an instance using the following procedure. In the /etc/openstack-dashboard/local_settings file, set the change_set_password parameter value to True. In the /etc/nova/nova.conf file, set the inject_password parameter to True. When you use the nova boot command to launch a new instance, the output of the command displays an adminPass parameter. You can use this password to log into the instance as the root user. You can also set a custom password from the dashboard. To enable this, run the following command after you have set can_set_password parameter to true. These fields can be used when you launch or rebuild an instance. Each created instance is given a flavor (resource template), which determines the instance’s size and capacity. Flavors can also specify secondary ephemeral storage, swap disk, metadata to restrict usage, or special project access (none of the default flavors have these additional attributes defined). Change default memory and capacity to suit the underlying hardware needs. Add metadata to force a specific I/O rate for the instance or to match a host aggregate. Behavior set using image properties overrides behavior set using flavors (for more information, see Section 1.2, “Manage Images”). As an admin user in the dashboard, select Admin > System > Flavors. Unique ID. The default value, auto, generates a UUID4 value, but you can also manually specify an integer or UUID4 value. Ephemeral disk size (in gigabytes); to use the native image size, specify 0. This disk is not used if Instance Boot Source=Boot from Volume. Secondary ephemeral disk size (in gigabytes) available to an instance. This disk is destroyed when an instance is deleted. The default value is 0, which implies that no ephemeral disk is created. Swap disk size (in megabytes). Projects which can use the flavor. If no projects are selected, all projects have access (Public=Yes). Click the flavor’s Edit Flavor button. Update the values, and click Save. In addition to editing general attributes, you can add metadata to a flavor (extra_specs), which can help fine-tune instance usage. For example, you might want to set the maximum-allowed bandwidth or disk writes. Pre-defined keys determine hardware support or quotas. Pre-defined keys are limited by the hypervisor you are using (for libvirt, see Table 3.5, “Libvirt Metadata”). Both pre-defined and user-defined keys can determine instance scheduling. For example, you might specify SpecialComp=True; any instance with this flavor can then only run in a host aggregate with the same key-value combination in its metadata (see Section 3.4, “Manage Host Aggregates”). Click the flavor’s Metadata link (Yes or No). All current values are listed on the right-hand side under Existing Metadata. You specify a flavor’s metadata using a key/value pair. Under Available Metadata, click on the Other field, and specify the key you want to add (see Table 3.5, “Libvirt Metadata”). Click the + button; you can now view the new key under Existing Metadata. Fill in the key’s value in its right-hand field. When finished with adding key-value pairs, click Save. cpu_max_sockets - Maximum supported CPU sockets. cpu_max_cores - Maximum supported CPU cores. cpu_max_threads - Maximum supported CPU threads. cpu_sockets - Preferred number of CPU sockets. cpu_cores - Preferred number of CPU cores. cpu_threads - Preferred number of CPU threads. serial_port_count - Maximum serial ports per instance. numa_nodes - Number of NUMA nodes to expose to the instance. Specify '1' to ensure image NUMA settings are overridden. strict - Mandatory for the instance’s RAM allocations to come from the NUMA nodes to which it is bound (default if numa_nodes is specified). preferred - The kernel can fall back to using an alternative node. Useful when the numa_nodes is set to '1'. numa_cpus.0 - Mapping of vCPUs N-M to NUMA node 0 (comma-separated list). numa_cpus.1 - Mapping of vCPUs N-M to NUMA node 1 (comma-separated list). numa_mem.0 - Mapping N MB of RAM to NUMA node 0.
numa_mem.1 - Mapping N MB of RAM to NUMA node 1.
numa_cpu.N and numa_mem.N are only valid if numa_nodes is set. Additionally, they are only required if the instance’s NUMA nodes have an asymetrical allocation of CPUs and RAM (important for some NFV workloads). If the values of numa_cpu or numa_mem.N specify more than that available, an exception is raised. The scheduler looks for a host with 2 NUMA nodes with the ability to run 6 CPUs + 3072 MB, or 3 GB, of RAM on one node, and 2 CPUS + 1024 MB, or 1 GB, of RAM on another node. If a host has a single NUMA node with capability to run 8 CPUs and 4 GB of RAM, it will not be considered a valid match. The same logic is applied in the scheduler regardless of the numa_mempolicy setting. disabled - The device is not attached (default value). pause - Pause the instance. poweroff - Forcefully shut down the instance. reset - Forcefully reset the instance. none - Enable the watchdog, but do nothing if the instance fails. A random-number generator device can be added to an instance using its image properties (see hw_rng_model in the "Command-Line Interface Reference" in Red Hat OpenStack Platform documentation). allowed - If True, the device is enabled; if False, disabled. By default, the device is disabled. rate_bytes - Maximum number of bytes the instance’s kernel can read from the host to fill its entropy pool every rate_period (integer). rate_period - Duration of the read period in seconds (integer). Maximum permitted RAM to be allowed for video devices (in MB). cpu_period - Time period for enforcing cpu_quota (in microseconds). Within the specified cpu_period, each vCPU cannot consume more than cpu_quota of runtime. The value must be in range [1000, 1000000]; '0' means 'no value'. cpu_quota - Maximum allowed bandwidth (in microseconds) for the vCPU in each `cpu_period. The value must be in range [1000, 18446744073709551]. '0' means 'no value'; a negative value means that the vCPU is not controlled. cpu_quota and cpu_period can be used to ensure that all vCPUs run at the same speed. cpu_shares - Share of CPU time for the domain. The value only has meaning when weighted against other machine values in the same domain. That is, an instance with a flavor with '200' will get twice as much machine time as an instance with '100'. disk_read_bytes_sec - Maximum disk reads in bytes per second. disk_read_iops_sec - Maximum read I/O operations per second. disk_write_bytes_sec - Maximum disk writes in bytes per second. disk_write_iops_sec - Maximum write I/O operations per second. disk_total_bytes_sec - Maximum total throughput limit in bytes per second. disk_total_iops_sec - Maximum total I/O operations per second. vif_inbound_average - Desired average of incoming traffic. vif_inbound_burst - Maximum amount of traffic that can be received at vif_inbound_peak speed. vif_inbound_peak - Maximum rate at which incoming traffic can be received. vif_outbound_average - Desired average of outgoing traffic. vif_outbound_burst - Maximum amount of traffic that can be sent at vif_outbound_peak speed. vif_outbound_peak - Maximum rate at which outgoing traffic can be sent. cpu_limit - Maximum CPU frequency available to a virtual machine (in MHz). cpu_reservation - Guaranteed minimum amount of CPU resources available to a virtual machine (in MHz). cpu_shares_level - CPU allocation level (shares) in the case of contention. Possible values are high, normal, low, and custom. cpu_shares_share - The number of allocated CPU shares. Applicable when cpu_shares_level is set to custom. memory_limit - Maximum amount of RAM available to a virtual machine (in MB). memory_reservation - Guaranteed minimum amount of RAM available to a virtual machine (in MB). memory_shares_level - RAM allocation level (shares) in the case of contention. Possible values are high, normal, low, and custom. memory_shares_share - The number of allocated RAM shares. Applicable when memory_shares_level is set to custom. disk_io_limit - Maximum I/O utilization by a virtual machine (in I/O operations per second). disk_io_reservation - Guaranteed minimum amount of disk resources available to a virtual machine (in I/O operations per second). disk_io_shares_level - I/O allocation level (shares) in the case of contention. Possible values are high, normal, low, and custom. disk_io_shares_share - The number of allocated I/O shares. Applicable when disk_io_shares_level is set to custom. vif_limit - Maximum network bandwidth available to a virtual network adapter (in Mbps). vif_reservation - Guaranteed minimum network bandwidth available to a virtual network adapter (in Mbps). vif_shares_level - Network bandwidth allocation level (shares) in the case of contention. Possible values are high, normal, low, and custom. vif_shares_share - The number of allocated network bandwidth shares. Applicable when vif_shares_level is set to custom. Host aggregates - A host aggregate creates logical units in a OpenStack deployment by grouping together hosts. Aggregates are assigned Compute hosts and associated metadata; a host can be in more than one host aggregate. Only administrators can see or create host aggregates. An aggregate’s metadata is commonly used to provide information for use with the Compute scheduler (for example, limiting specific flavors or images to a subset of hosts). Metadata specified in a host aggregate will limit the use of that host to any instance that has the same metadata specified in its flavor. Administrators can use host aggregates to handle load balancing, enforce physical isolation (or redundancy), group servers with common attributes, or separate out classes of hardware. When you create an aggregate, a zone name must be specified, and it is this name which is presented to the end user. Availability zones - An availability zone is the end-user view of a host aggregate. An end user cannot view which hosts make up the zone, nor see the zone’s metadata; the user can only see the zone’s name. End users can be directed to use specific zones which have been configured with certain capabilities or within certain areas. Edit the /etc/nova/nova.conf file (you must have either root or nova user permissions). As an admin user in the dashboard, select Admin > System > Host Aggregates. All currently defined aggregates are listed in the Host Aggregates section; all zones are in the Availability Zones section. As an admin user in the dashboard, select Admin > System > Host Aggregates. All currently defined aggregates are listed in the Host Aggregates section. Add a name for the aggregate in the Name field, and a name by which the end user should see it in the Availability Zone field. Click Manage Hosts within Aggregate. Select a host for use by clicking its + icon. Click the aggregate’s Edit Host Aggregate button. Update the Name or Availability Zone field, and click Save. Click the aggregate’s arrow icon under Actions. Change a host’s assignment by clicking its + or - icon. Click the Update Metadata button. All current values are listed on the right-hand side under Existing Metadata. Under Available Metadata, click on the Other field, and specify the key you want to add. Use predefined keys (see Table 3.6, “Host Aggregate Metadata”) or add your own (which will only be valid if exactly the same key is set in an instance’s flavor). Remove a key by clicking its - icon. Sets allocation ratio of virtual CPU to physical CPU. Depends on the AggregateCoreFilter filter being set for the Compute scheduler. Sets allocation ratio of Virtual disk to physical disk. Depends on the AggregateDiskFilter filter being set for the Compute scheduler. If specified, the aggregate only hosts this tenant (project). Depends on the AggregateMultiTenancyIsolation filter being set for the Compute scheduler. Sets allocation ratio of virtual RAM to physical RAM. Depends on the AggregateRamFilter filter being set for the Compute scheduler. Remove all hosts by clicking their - icon. Click Delete Host Aggregate in this and the next dialog screen. The Compute scheduling service determines on which host (or host aggregate), an instance will be placed. As an administrator, you can influence where the scheduler will place an instance. For example, you might want to limit scheduling to hosts in a certain group or with the right RAM. Filters - Determine the initial set of hosts on which an instance might be placed (see Section 3.5.1, “Configure Scheduling Filters”). Weights - When filtering is complete, the resulting set of hosts are prioritized using the weighting system. The highest weight has the highest priority (see Section 3.5.2, “Configure Scheduling Weights”). Scheduler service - There are a number of configuration options in the /etc/nova/nova.conf file (on the scheduler host), which determine how the scheduler executes its tasks, and handles weights and filters. 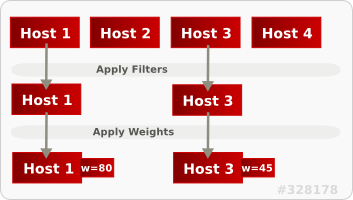 In the following diagram, both host 1 and 3 are eligible after filtering. Host 1 has the highest weight and therefore has the highest priority for scheduling. You define which filters you would like the scheduler to use in the scheduler_default_filters option (/etc/nova/nova.conf file; you must have either root or nova user permissions). Filters can be added or removed. The instance’s image (see Appendix A, Image Configuration Parameters). All available filters are listed in the following table. Uses the host-aggregate metadata key cpu_allocation_ratio to filter out hosts exceeding the over-commit ratio (virtual CPU to physical CPU allocation ratio); only valid if a host aggregate is specified for the instance. If this ratio is not set, the filter uses the cpu_allocation_ratio value in the /etc/nova/nova.conf file. The default value is 16.0 (16 virtual CPU can be allocated per physical CPU). Uses the host-aggregate metadata key disk_allocation_ratio to filter out hosts exceeding the over-commit ratio (virtual disk to physical disk allocation ratio); only valid if a host aggregate is specified for the instance. If this ratio is not set, the filter uses the disk_allocation_ratio value in the /etc/nova/nova.conf file. The default value is 1.0 (one virtual disk can be allocated for each physical disk). Only passes hosts in host aggregates whose metadata matches the instance’s image metadata; only valid if a host aggregate is specified for the instance. For more information, see Section 1.2.1, “Create an Image”. Metadata in the host aggregate must match the host’s flavor metadata. For more information, see Section 3.3.4, “Update Flavor Metadata”. A host with the specified filter_tenant_id can only contain instances from that tenant (project). The tenant can still place instances on other hosts. Uses the host-aggregate metadata key ram_allocation_ratio to filter out hosts exceeding the over commit ratio (virtual RAM to physical RAM allocation ratio); only valid if a host aggregate is specified for the instance. If this ratio is not set, the filter uses the ram_allocation_ratio value in the /etc/nova/nova.conf file. The default value is 1.5 (1.5 RAM can be allocated for each physical RAM). Passes all available hosts (however, does not disable other filters). Filters using the instance’s specified availability zone. Ensures Compute metadata is read correctly. Anything before the : is read as a namespace. For example, quota:cpu_period uses quota as the namespace and cpu_period as the key. Passes only hosts that are operational and enabled. Uses the cpu_allocation_ratio in the /etc/nova/nova.conf file to filter out hosts exceeding the over commit ratio (virtual CPU to physical CPU allocation ratio). The default value is 16.0 (16 virtual CPU can be allocated per physical CPU). Enables an instance to build on a host that is different from one or more specified hosts. Specify different hosts using the nova boot option --different_host option. Uses disk_allocation_ratio in the /etc/nova/nova.conf file to filter out hosts exceeding the over commit ratio (virtual disk to physical disk allocation ratio). The default value is 1.0 (one virtual disk can be allocated for each physical disk). Only passes hosts that match the instance’s image properties. For more information, see Section 1.2.1, “Create an Image”. Passes only isolated hosts running isolated images that are specified in the /etc/nova/nova.conf file using isolated_hosts and isolated_images (comma-separated values). Filters out hosts with unavailable metrics. Filters out hosts based on its NUMA topology; if the instance has no topology defined, any host can be used. The filter tries to match the exact NUMA topology of the instance to those of the host (it does not attempt to pack the instance onto the host). The filter also looks at the standard over-subscription limits for each NUMA node, and provides limits to the compute host accordingly. The weigher can compute the weight based on the number of PCI devices on the host and the number of PCI devices requested by an instance. For example, if there are three hosts available, one with a single PCI device, one with multiple PCI devices and one without any PCI devices, then Compute should prioritize these hosts based on the demands of the instance. The first host should be preferred if the instance requests one PCI device, the second host if the instance requires multiple PCI devices and the third host if the instances does not request a PCI device. Uses ram_allocation_ratio in the /etc/nova/nova.conf file to filter out hosts exceeding the over commit ratio (virtual RAM to physical RAM allocation ratio). The default value is 1.5 (1.5 RAM can be allocated for each physical RAM). Filters out hosts that have failed a scheduling attempt; valid if scheduler_max_attempts is greater than zero (by default,scheduler_max_attempts=3). Passes one or more specified hosts; specify hosts for the instance using the --hint same_host option for nova boot. Give the server group the affinity policy (nova server-group-create --policy affinity groupName). Give the server group the anti-affinity policy (nova server-group-create --policy anti-affinity groupName). Build the instance with that group (nova boot option --hint group=UUID). You can configure weight options in the scheduler host’s /etc/nova/nova.conf file (must have either root or nova user permissions). nova.scheduler.weights.ram - Weighs the host’s available RAM. nova.scheduler.weights.metrics - Weighs the host’s metrics. nova.scheduler.weights.affinity - Weighs the host’s proximity to other hosts in the given server group. nova.scheduler.weights.all_weighers - Uses all host weighers (default). Defines the subset size from which a host is selected (integer); must be at least 1. A value of 1 selects the first host returned by the weighing functions. Any value less than 1 is ignored and 1 is used instead (integer value). Used for weighing hosts for group soft-affinity. Should be a positive floating-point number, because a negative value results in the opposite behavior, which is normally controlled by soft_anti_affinity_weight_multiplier. Used for weighing hosts for group soft-anti-affinity. Should be a positive floating-point number, because a negative value results in the opposite behavior, which is normally controlled by soft_affinity_weight_multiplier. True- Metrics are required; if unavailable, an exception is raised. To avoid the exception, use the MetricFilter filter in the scheduler_default_filters option. False - The unavailable metric is treated as a negative factor in the weighing process; the returned value is set by weight_of_unavailable. Used as the weight if any metric in [metrics] weight_setting is unavailable; valid if required=False. Mulitplier used for weighing metrics. By default, weight_multiplier=1.0 and spreads instances across possible hosts. If this value is negative, the host with lower metrics is prioritized, and instances are stacked in hosts. Multiplier for RAM (floating point). By default, ram_weight_multiplier=1.0 and spreads instances across possible hosts. If this value is negative, the host with less RAM is prioritized, and instances are stacked in hosts. Compute uses the filter scheduler to prioritize hosts with PCI devices for instances requesting PCI. The hosts are weighted using the PCIWeigher option, based on the number of PCI devices available on the host and the number of PCI devices requested by an instance. If an instance requests PCI devices, then the hosts with more PCI devices are allocated a higher weight than the others. If an instance is not requesting PCI devices, then prioritization does not take place. As an operator, if you want to reserve nodes with PCI devices (typically expensive and with limited resources) for guest instances that request them. As a user launching instances, you want to ensure that PCI devices are available when required. Make sure you enable one of the following options: PciPassthroughFilter or NUMATopologyFilter in the enabled_filters line of the /etc/nova/nova.conf file for this value to be considered. The pci_weight_multiplier configuration option is available in the [filter_scheduler] section of the nova.conf file. This option must be a positive value. The Compute scheduler determines the CPU resource utilization and places instances based on the number of virtual CPUs (vCPUs) in the flavor. There are a number of hypervisor operations that are performed on the host, on behalf of the guest instance, for example, with QEMU, there are threads used for the QEMU main event loop, asynchronous I/O operations and so on and these operations need to be accounted and scheduled separately. The libvirt driver implements a generic placement policy for KVM which allows QEMU emulator threads to float across the same physical CPUs (pCPUs) that the vCPUs are running on. This leads to the emulator threads using time borrowed from the vCPUs operations. When a guest wants dedicated vCPU allocation, it is necessary to allocate one or more pCPUs to the guest’s emulator threads. It is therefore necessary to describe to the scheduler any other CPU usage that might be associated with a guest and account for that during placement. For the libvirt driver, you can assign a separate pCPU to an instance that uses emulator threads for processes not directly related to the guest OS. This pCPU will used in addition to the pCPUs used for the guest. This is generally required for use with a real-time workload. In a NFV deployment, to avoid packet loss, you have to make sure that the vCPUs are never preempted. Before you enable the emulator threads placement policy on a flavor, you must set the hw:cpu_policy to dedicated and add the NUMATopologyFilter option in the enabled_filters line of the /etc/nova/nova.conf file. Use the hw:emulator_threads_policy option to ensure that the instance is considered to consume one additional host CPU to place the emulator threads on. shared - (Default) The emulator thread float across the pCPUs associated with the guest. isolate - The emulator threads are isolated on a single pCPU. If you want to move an instance from a dead or shut-down compute node to a new host server in the same environment (for example, because the server needs to be swapped out), you can evacuate it using nova evacuate. An evacuation is only useful if the instance disks are on shared storage or if the instance disks are Block Storage volumes. Otherwise, the disks will not be accessible and cannot be accessed by the new compute node. An instance can only be evacuated from a server if the server is shut down; if the server is not shut down, the evacuate command will fail. Make a static copy (not running) of an instance for backup purposes or to copy the instance to a different environment, follow the procedure in Migrating VMs from an Overcloud Compute Node). Move an instance in a static state (not running) to a host in the same environment (shared storage not needed), migrate it using nova migrate (see Migrate a Static Instance). Move an instance in a live state (running) to a host in the same environment, migrate it using nova live-migration (see Migrate a Live (running) Instance). --password - Admin password to set for the evacuated instance. If a password is not specified, a random password is generated and output when evacuation is complete. instance_name - Name of the instance to be evacuated. source_host - Name of the host to be evacuated. If you are using shared storage, this procedure exports the instances directory for the Compute service to the two nodes, and ensures the nodes have access. The directory path is set in the state_path and instances_path parameters in the /etc/nova/nova.conf file. This procedure uses the default value, which is /var/lib/nova/instances. Only users with root access can set up shared storage. Export the /var/lib/nova/instances directory to the compute nodes. Ensure the /var/lib/nova/instances directory exists locally. An instance snapshot allows you to create a new image from an instance. This is very convenient for upgrading base images or for taking a published image and customizing it for local use. Snapshots allow you to create new instances based on that snapshot, and potentially restore an instance to that state. Moreover, this can be performed while the instance is running. By default, a snapshot is accessible to the users and projects that were selected while launching an instance that the snapshot is based on. If you unconditionally enable the hw_qemu_guest_agent=yes parameter, then you are adding another device to the guest. This consumes a PCI slot, and will limit the number of other devices you can allocate to the guest. It also causes Windows guests to display a warning message about an unknown hardware device. For these reasons, setting the hw_qemu_guest_agent=yes parameter is optional, and the parameter should be used for only those images that require the QEMU guest agent. Select the instance from which you want to create a snapshot. In the Create Snapshot dialog, enter a name for the snapshot and click Create Snapshot. The Images category now shows the instance snapshot. To launch an instance from a snapshot, select the snapshot and click Launch. In the dashboard, select Project > Images. All snapshots you created, appear under the Project option. Use the Create Volume option to create a volume and entering the values for volume name, description, image source, volume type, size and availability zone. For more information, see Create a Volume in the Storage Guide. Use the Edit Image option to update the snapshot image by updating the values for name, description, Kernel ID, Ramdisk ID, Architecture, Format, Minimum Disk (GB), Minimum RAM (MB), public or private. For more information, see Section 1.2.3, “Update an Image”. Use the Delete Image option to delete the snapshot. In an event that you delete an instance on which a snapshot is based, the snapshot still stores the instance ID. You can check this information using the nova image-list command and use the snapshot to restore the instance. Select the snapshot from which you want to restore the instance. In the Actions column, click Launch Instance. In the Launch Instance dialog, enter a name and the other details for the instance and click Launch. For more information on launching an instance, see Section 3.1.2, “Launch an Instance”. Previously, file systems had to be quiesced manually (fsfreeze) before taking a snapshot of active instances for consistent backups. Compute’s libvirt driver automatically requests the QEMU Guest Agent to freeze the file systems (and applications if fsfreeze-hook is installed) during an image snapshot. Support for quiescing file systems enables scheduled, automatic snapshots at the block device level. Snapshots should not be considered a substitute for an actual system backup. Compute has a method to reboot a virtual machine in rescue mode. Rescue mode provides a mechanism for access when the virtual machine image renders the instance inaccessible. A rescue virtual machine allows a user to fix their virtual machine by accessing the instance with a new root password. This feature is useful if an instance’s filesystem is corrupted. By default, rescue mode starts an instance from the initial image attaching the current boot disk as a secondary one. Due to the fact that both the boot disk and the disk for rescue mode have same UUID, sometimes the virtual machine can be booted from the boot disk instead of the disk for rescue mode. The rescue image is stored in glance and configured in the nova.conf as a default, or you can select when you do the rescue. Here DEVICE_NODE is the root device node (for example, sda, vda, and so on). Update the /etc/fstab to use the new UUID. You may need to repeat this for any additional partitions you have, that are mounted in the fstab by UUID. Update the /boot/grub2/grub.conf file and update the UUID parameter with the new UUID of the root disk. Shut down and use this image as your rescue image. This will cause the rescue image to have a new random UUID that will not conflict with the instance that you are rescuing. The XFS filesystem cannot change the UUID of the root device on the running virtual machine. Reboot the virtual machine until the virtual machine is launched from the disk for rescue mode. Here IMAGE_NAME is the name of the image, IMAGE_PATH is the location of the image. Use the image-list command to obtain the IMAGE_ID required for launching an instace in the rescue mode. 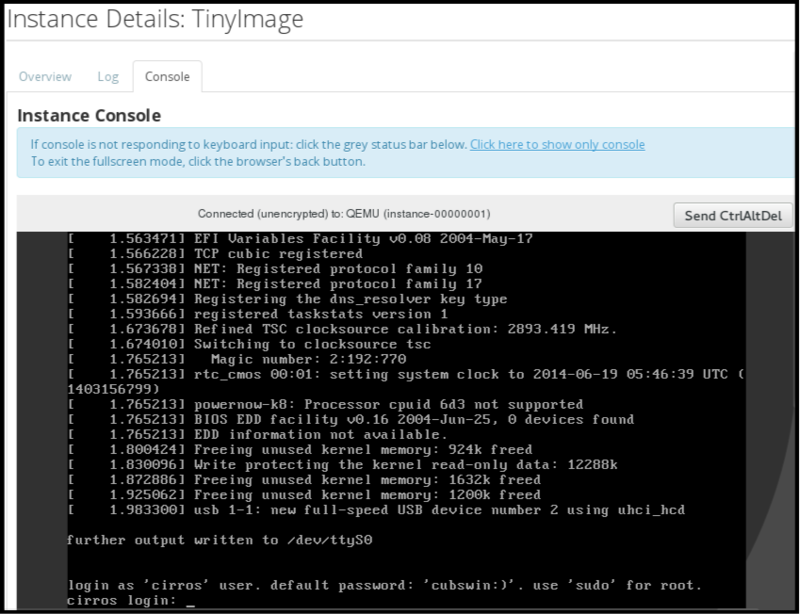 You can also upload an image using the OpenStack Dashboard, see Section 1.2.2, “Upload an Image”. Here IMAGE_ID is the ID of the image you want to use and VIRTUAL_MACHINE_ID is ID of a virtual machine that you want to rescue. The nova rescue command allows an instance to perform a soft shut down. This allows the guest operating system to perform a controlled shutdown before the instance is powered off. The shut down behavior is configured by the shutdown_timeout parameter that can be set in the nova.conf file. The value stands for the overall period (in seconds) a guest operation system is allowed to complete the shutdown. The default timeout is 60 seconds. The timeout value can be overridden on a per image basis by means of os_shutdown_timeout that is an image metadata setting allowing different types of operating systems to specify how much time they need to shut down cleanly. Confirm the status of the virtual machine is RESCUE on the controller node by using nova list command or by using dashboard. Log in to the new virtual machine dashboard by using the password for rescue mode. You can now make the necessary changes to your instance to fix any issues. You can unrescue the fixed instance to restart it from the boot disk. Execute the following commands on the controller node. Here VIRTUAL_MACHINE_ID is ID of a virtual machine that you want to unrescue. The status of your instance returns to ACTIVE once the unrescue operation has completed successfully. You can use the config-drive parameter to present a read-only drive to your instances. This drive can contain selected files that are then accessible to the instance. The configuration drive is attached to the instance at boot, and is presented to the instance as a partition. Configuration drives are useful when combined with cloud-init (for server bootstrapping), and when you want to pass large files to your instances. config_drive_format - sets the format of the drive, and accepts the options iso9660 and vfat. By default, it uses iso9660. force_config_drive=true - this forces the configuration drive to be presented to all instances. mkisofs_cmd=genisoimage - specifies the command to use for ISO file creation. This value must not be changed, as only genisoimage is supported. Once the instance has booted, you can log in to it and see a file named /root/user-data.txt. You can use the configuration drive as a source for cloud-init information. During the initial instance boot, cloud-init can automatically mount the configuration drive and run the setup scripts. This chapter concerns NUMA topology awareness and the configuration of an OpenStack environment on systems supporting this technology. With this setup, virtual machine instances are pinned to dedicated CPU cores, which enables smarter scheduling and therefore improves guest performance. Background information about NUMA is available in the following article: What is NUMA and how does it work on Linux ? 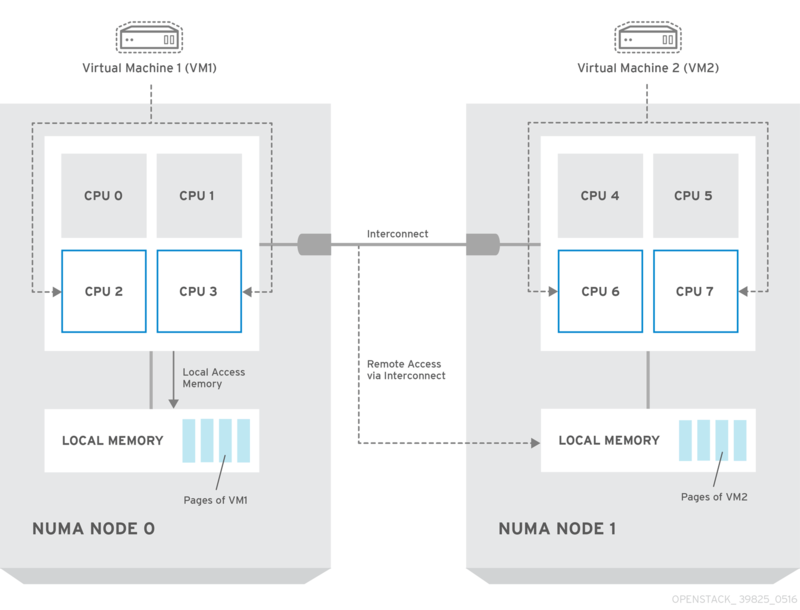 For more details on NUMA tuning with libvirt, see the Virtualization Tuning and Optimization Guide. The number of cores to reserve for host processes should be determined by observing the performance of the host under typical workloads. This will pin the guest vCPUs to the listed physical CPU cores and allow the scheduler to see only these cores. The cpuset option along with the isolcpus kernel argument will ensure that the underlying compute node will not be able to use the corresponding pCPUs for itself. The pCPUs will be dedicated to instances. The isolcpus argument is not fully functional on Red Hat Enterprise Linux 7.1. There is a bug which allows kernel processes to use CPUs that have been isolated. This bug was fixed in Red Hat Enterprise Linux 7.2, however some users have experienced performance problems. Because of this, the isolcpus solution has been deprecated and there is a replacement solution which relies on systemd. However, this solution is still a work-in-progress, since it currently cannot isolate all of the kernel threads. The CPUAffinity option takes a list of CPU indices or ranges separated by a whitespace. Replace device with the name of the device that contains the boot record, usually sda. Replace name with a suitable name, such as performance or cpu_pinning. In this command, number 1 matches the ID of the aggregate created in the previous step. Replace name with another suitable name, such as normal. Here, number 2 is used because it comes after 1, which is the ID of the first aggregate. Replace name with an appropriate name, such as m1.small.performance or pinned.small, ID with the identifier for the new flavor (6 if you have five standard flavors, or auto if you want nova to generate a UUID), RAM with the desired amount of RAM in MB, disk with the desired disk size in GB, and vCPUs with the number of virtual CPUs that you want to reserve. Replace ID with the ID of the flavor created in the previous step. If the host does not have an SMT architecture or enough CPU cores with free thread siblings, scheduling will fail. If such behavior is undesired, or if your hosts simply do not have an SMT architecture, do not use the hw:cpu_thread_policy specification, or set it to prefer instead of require. The (default) prefer policy ensures that thread siblings are used when available. Again, replace ID with the ID of the flavor. Replace ID_1 with the ID of the first ("performance"/"pinning") aggregate and host_1 with the host name of the host that you want to add to the aggregate. Replace ID_2 with the ID of the second ("normal") aggregate and host_2 with the host name of the host that you want to add to it. Replace image with a saved VM image name (see nova image-list), flavor with the name of the flavor (m1.small.performance, pinned.small, or any other name that you used), and server_name with the name for the new server. To support GPU-based rendering on your guest instances, you can define and manage virtual GPU (vGPU) resources according to your available physical GPU devices and your hypervisor type. This configuration allows you to divide the rendering workloads between all your physical GPU devices more effectively, and to have more control over scheduling, tuning, and monitoring your vGPU-enabled guest instances. To enable vGPU in OpenStack Compute, you create flavors that you can use to request Red Hat Enterprise Linux guests with vGPU devices, and then you assign those flavors to Compute instances. Each instance can then support GPU workloads with virtual GPU devices that correspond to the physical GPU devices. The OpenStack Compute service tracks the number and size of the vGPU devices that are available on each host, schedules guests to these hosts based on the flavor, attaches the devices, and monitors usage on an ongoing basis. In case the guest is no longer available, OpenStack Compute adds the vGPU devices back to the available pool. This section lists currently supported virtual GPU (vGPU) graphics cards, as well as considerations and limitations for setting up vGPU devices in OpenStack Compute. The following table lists the currently supported GPU cards for Red Hat Enterprise Linux and KVM. The following table lists currently supported vGPU types and their typical specifications and license types. You can use only one vGPU type for each Compute host. You can use only one vGPU resource for each Compute instance. Live migration of vGPU between hosts is not supported. Suspend operations on a vGPU-enabled guest is not supported due to a libvirt limitation. Instead, you can snapshot or shelve the instance. Resize and cold migration operations on an instance with a vGPU flavor does not automatically re-allocate the vGPU resources to the instance. After you resize or migrate the instance, you must rebuild it manually to re-allocate the vGPU resources. If you use NVIDIA accelerator hardware, you must comply with the NVIDIA licensing requirements. For example, NVIDIA vGPU GRID requires a licensing server. For more information about the NVIDIA licensing requirements, see the NVIDIA License Server Release Notes web page. Your deployment must meet the requirements for vGPU devices, as described in Section 5.1, “Supported configurations and limitations”. Your undercloud must be deployed and the default overcloud image must be uploaded to Glance. You must comply with the NVIDIA GRID licensing requirements and you must have the URL of your self-hosted license server. For more information about the NVIDIA licensing requirements and self-hosted server installation, see the NVIDIA License Server Release Notes web page. Perform the following steps on the undercloud to install the NVIDIA GRID host driver on an overcloud Compute image and upload the image to Glance. Copy the overcloud image and add the gpu suffix to the copied image. Install an ISO image generator tool from YUM. Download the NVIDIA GRID host driver RPM package that corresponds to your GPU device from the NVIDIA website. To determine which driver you need, see the Virtual GPU Software for Red Hat Enterprise Linux with KVM Release Notes. Create an ISO image from the driver RPM package and save the image in the nvidia-guest directory. You will use this ISO image to install the driver on your Compute nodes in subsequent steps. Create a driver installation script for your Compute nodes. This script installs the NVIDIA GRID host driver on each Compute node that you run it on. In this example the script is named install_nvidia.sh. Customize the overcloud image by attaching the ISO image that you generated and running the driver installation script that you created. Relabel the customized image with SELinux. Prepare the custom image files for a Glance upload. From the undercloud, upload the custom image to Glance. After you build the custom GPU overcloud image, you prepare the Compute nodes for GPU-enabled overcloud deployment. This section describes how to configure the role, profile, and flavor for the GPU-enabled Compute nodes. Generate a new roles data file named gpu_roles_data.yaml that includes the Controller, Compute, and ComputeGpu roles. Create the compute-vgpu-nvidia flavor to tag nodes that you want to designate for vGPU workloads. Tag each node that you want to designate for GPU workloads with the compute-vgpu-nvidia profile. Register the overcloud and run the standard hardware introspection on your nodes. After you prepare your overcloud for vGPU, you retrieve and assign the vGPU type that corresponds to the physical GPU device in your environment and prepare the configuration templates. To determine the vGPU type for your physical GPU device, you must check the available device type from a different machine. You can perform these steps from any temporary Red Hat Enterprise Linux unused Compute node, and then delete the node. You do not need to deploy the overcloud to perform these steps. 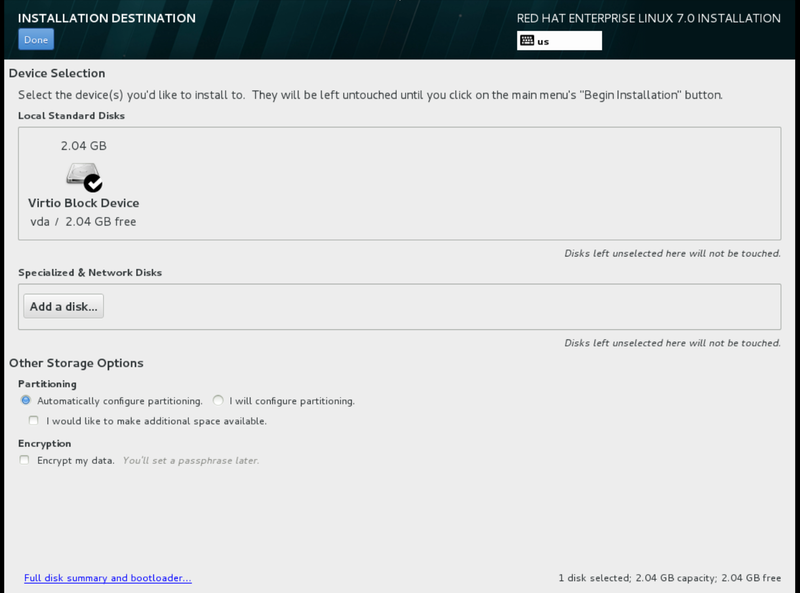 Install Red Hat Enterprise Linux and the NVIDIA GRID driver on one Compute node and launch the node. For information on installing the NVIDIA GRID driver, see Section 5.2.1, “Build a custom GPU overcloud image”. Replace the NTP_SERVER_URL variable with the address of your NTP server. Only one virtual GPU type is supported per physical GPU. If you specify multiple vGPU types in this property, only the first type is used. Run the overcloud deploy command with the custom GPU image and the configuration templates that you prepared. After you deploy the overcloud with GPU-enabled Compute nodes, you build a custom vGPU-enabled instance image with the NVIDIA GRID guest driver and license file. # This is a template for the configuration file for NVIDIA Grid Daemon. Download the NVIDIA GRID guest driver RPM package that corresponds to your GPU device from the NVIDIA website. To determine which driver you need, see the Virtual GPU Software for Red Hat Enterprise Linux with KVM Release Notes. Create an ISO image from the driver RPM package. You will use this ISO image to install the driver on your Compute nodes in subsequent steps. By default, you must install the NVIDIA GRID drivers on each instance that you want to designate for GPU workloads. This process involves modifying the guest image, rebooting, and then installing the guest drivers. You can create two scripts to perform each stage on the guest instances. Create the first script named nvidia-prepare-guest-1.sh to uninstall the nouveau driver from the guest image, enable the required repositories, and update the instance to the latest kernel. echo "Nothing to do for Nouveau driver"
Create the second script named nvidia-prepare-guest-2.sh to check that the nouveau driver is uninstalled, install the NVIDIA GRID guest driver, and attach the gridd.conf license file to the instance. echo "Step 2: OK Nouveau driver removed"
echo "Step 2: NOK Nouveau driver still loaded"
Upload the custom guest image to Glance. After you build the custom guest image, you create a GPU flavor and assign a vGPU resource to that flavor. When you later launch instances with this flavor, the vGPU resource will be available to each instance. You can assign only one vGPU resource for each instance. Assign a vGPU resource to the flavor that you created. Currently you can assign only one vGPU for each instance. (overcloud) [stack@virtlab-director2 ~]$ openstack flavor set m1.small-gpu --property "resources:VGPU=1"
After you prepare the guest image and create the GPU flavor, you launch the GPU-enabled instance and install the NVIDIA guest driver from the ISO that you attached to the custom image in Section 5.2.4, “Build a custom GPU guest image”. Check the status of the NVIDIA GRID daemon. Oct 31 20:00:41 instance0 systemd: Stopped NVIDIA Grid Daemon. Oct 31 20:00:41 instance0 systemd: Started NVIDIA Grid Daemon. Oct 31 20:00:41 instance0 nvidia-gridd: Ignore Service Provider Licensing. Oct 31 20:00:42 instance0 nvidia-gridd: Acquiring license for GRID vGPU Edition. The following keys can be used with the property option for both the glance image-update and glance image-create commands. Behavior set using image properties overrides behavior set using flavors. For more information, see Section 3.3, “Manage Flavors”. The CPU architecture that must be supported by the hypervisor. For example, x86_64, arm, or ppc64. Run uname -m to get the architecture of a machine. We strongly recommend using the architecture data vocabulary defined by the libosinfo project for this purpose. For snapshot images, this is the UUID of the server used to create this image. The ID of an image stored in the Image Service that should be used as the kernel when booting an AMI-style image. The common name of the operating system distribution in lowercase (uses the same data vocabulary as the libosinfo project). Specify only a recognized value for this field. Deprecated values are listed to assist you in searching for the recognized value. The ID of image stored in the Image Service that should be used as the ramdisk when booting an AMI-style image. The virtual machine mode. This represents the host/guest ABI (application binary interface) used for the virtual machine. hvm-Fully virtualized. This is the mode used by QEMU and KVM. Specifies the type of disk controller to attach disk devices to. scsi, virtio, ide, or usb. Note that if using iscsi, the hw_scsi_model needs to be set to virtio-scsi. Number of NUMA nodes to expose to the instance (does not override flavor definition). Integer. For a detailed example of NUMA-topology definition, see the hw:NUMA_def key in Add Metadata. NUMA memory allocation policy (does not override flavor definition). strict - Mandatory for the instance’s RAM allocations to come from the NUMA nodes to which it is bound (default if numa_nodes is specified). preferred - The kernel can fall back to using an alternative node. Useful when the 'hw:numa_nodes' parameter is set to '1'. Mapping of vCPUs N-M to NUMA node 0 (does not override flavor definition). Mapping of vCPUs N-M to NUMA node 1 (does not override flavor definition). Mapping N MB of RAM to NUMA node 0 (does not override flavor definition). Mapping N MB of RAM to NUMA node 1 (does not override flavor definition). Guest agent support. If set to yes, and if qemu-ga is also installed, file systems can be quiesced (frozen) and snapshots created automatically. The generator device is disabled. virtio, or other supported device. Enables the use of VirtIO SCSI (virtio-scsi) to provide block device access for compute instances; by default, instances use VirtIO Block (virtio-blk). VirtIO SCSI is a para-virtualized SCSI controller device that provides improved scalability and performance, and supports advanced SCSI hardware. The video image driver used. Maximum RAM for the video image. Used only if a hw_video:ram_max_mb value has been set in the flavor’s extra_specs and that value is higher than the value set in hw_video_ram. Enables a virtual hardware watchdog device that carries out the specified action if the server hangs. The watchdog uses the i6300esb device (emulating a PCI Intel 6300ESB). If hw_watchdog_action is not specified, the watchdog is disabled. disabled-The device is not attached. Allows the user to disable the watchdog for the image, even if it has been enabled using the image’s flavor. The default value for this parameter is disabled. poweroff-Forcefully power off the guest. none-Only enable the watchdog; do nothing if the server hangs. The kernel command line to be used by the libvirt driver, instead of the default. For Linux Containers (LXC), the value is used as arguments for initialization. This key is valid only for Amazon kernel, ramdisk, or machine images (aki, ari, or ami). Specifies the model of virtual network interface device to use. The valid options depend on the configured hypervisor. KVM and QEMU: e1000, ne2k_pci, pcnet, rtl8139, and virtio. VMware: e1000, e1000e, VirtualE1000, VirtualE1000e, VirtualPCNet32, VirtualSriovEthernetCard, and VirtualVmxnet. Xen: e1000, netfront, ne2k_pci, pcnet, and rtl8139. The virtual SCSI or IDE controller used by the hypervisor. A VMware GuestID which describes the operating system installed in the image. This value is passed to the hypervisor when creating a virtual machine. If not specified, the key defaults to otherGuest. If true, the root partition on the disk is automatically resized before the instance boots. This value is only taken into account by the Compute service when using a Xen-based hypervisor with the XenAPI driver. The Compute service will only attempt to resize if there is a single partition on the image, and only if the partition is in ext3 or ext4 format. The operating system installed on the image. The XenAPI driver contains logic that takes different actions depending on the value of the os_type parameter of the image. For example, for os_type=windows images, it creates a FAT32-based swap partition instead of a Linux swap partition, and it limits the injected host name to less than 16 characters. The Launch Instance form is enabled by default, but you can enable the Launch Instance wizard at any time. You can also enable both the Launch Instance form and the Launch Instance wizard at the same time. 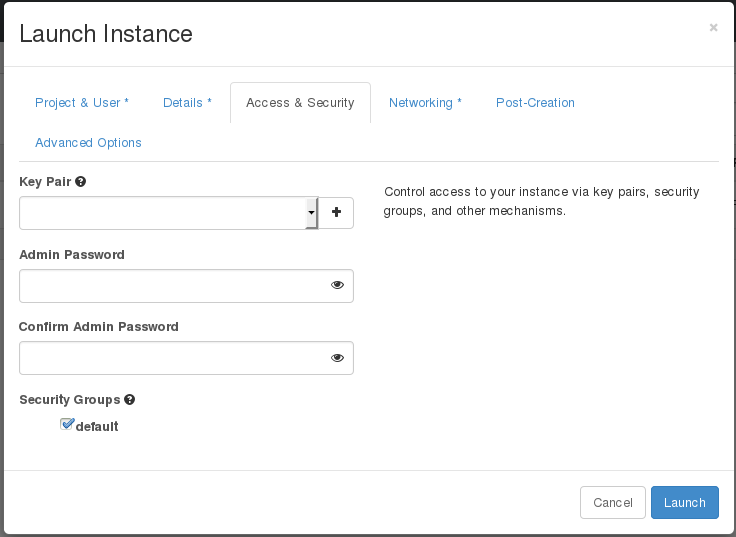 The Launch Instance wizard simplifies the steps required to create instances. The preferences for the Launch Instance form and Launch Instance wizard are updated. If you enabled only one of these options, the Launch Instance button in the dashboard opens that option by default. If you enabled both options, two Launch Instance buttons are displayed in the dashboard, with the button on the left opening the Launch Instance wizard and the button on the right opening the Launch Instance form.